HOW TO FILL OUT YOUR APPLICATION FORM? Please check required documents for application. 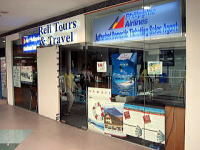 ◆Reli Tours and Travel Company has a daily quota of 120 filling a day. Because of the said Korean Embassy Policy. ◆Your application will be submitted 4-6 working days after Reli Tours and Travel Company receive your application. And Effective Immediately Processing time for Frequent and First Time Travellers(No OECD Country travel) is 8 working days after the Korean Embassy has received your application. ◆Validity of visa is only 3 months from the issue date. Please DO NOT Apply more than 3 months prior to the date of travel. We recommend you to apply your visa application 2 months(60 days) before your travel departure. ◆Please DＯ NOT Submit your application if you will need your passport within 20 working days. ◆Please DO NOT Purchase any airline tickets or Hotel accommodations prior to the release of your visa. 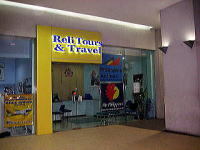 Reli Tours and Travel Company will Not Shoulder any expenses resulting from delayed/denied visas. ◆Personal appearance must be required. ◆Family members should provide proof of relationship when submitting their application. Proof of relationship is thru PSA certificates. Distant relatives, friends, fiance can not be guaranteed. ◆Please make sure all documents legally obtained and Do not submit falsified documents. Korean Embassy have implemented EXPRESS PROCESSING for TEMPORARY VISITOR'S VISA ONLY. It should be applied at the same time the visa application is submitted to RELI TOURS. 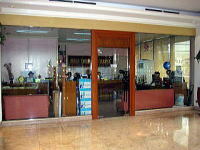 This service CAN NOT be availed after the application has been submitted to the embassy. Express Processing is still 3 working days from the date of Receipt by the said embassy. However, the back log of 4-6 days will still apply. 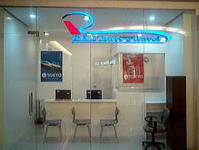 Express visa processing fee is $20(PHP 1,000). Express fee will not be returned in case visa application is denied. Other documents may also be required. NO GUARANTEE of visa issuance. Please DO NOT buy any form of travel arrangement　(ticket, hotel, etc) until visa is released. HOW TO APPLY FOR APPLICATION FOR EXPRESS VISA PROCESSING? Every applicant should submit the application form for EXPRESS VISA PROCESSING. Download "Application for Express Visa Processing. doc"
Fill-up all items and sign. 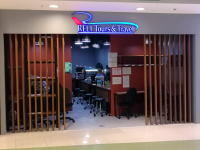 ※Please inquire the details at our branches below. ※The application form should be 5 pages. 1) Application Form should be Electronically(type written) filled out correctly. ※Leave items 1.2, 1.7 Blank. ※Leave 1.9 blank if you're not Dual citizen. Example = Spouse name if you are single(4.2). 9.2 c) = "All Expenses"
2) Signature is still Manually done on the page 4. 4) Please use font size 13〜14 point when filling up your application. Broken passport is not accepted. Passports must be signed and must have at least two(2) blank visa pages. An affidavit of support must be provided together with proof of relationship thru PSA certificate. ※If parents already have a valid visa, attach photocopy of parent's valid visa. you must notify the concerned visa office of changes in your passport information.